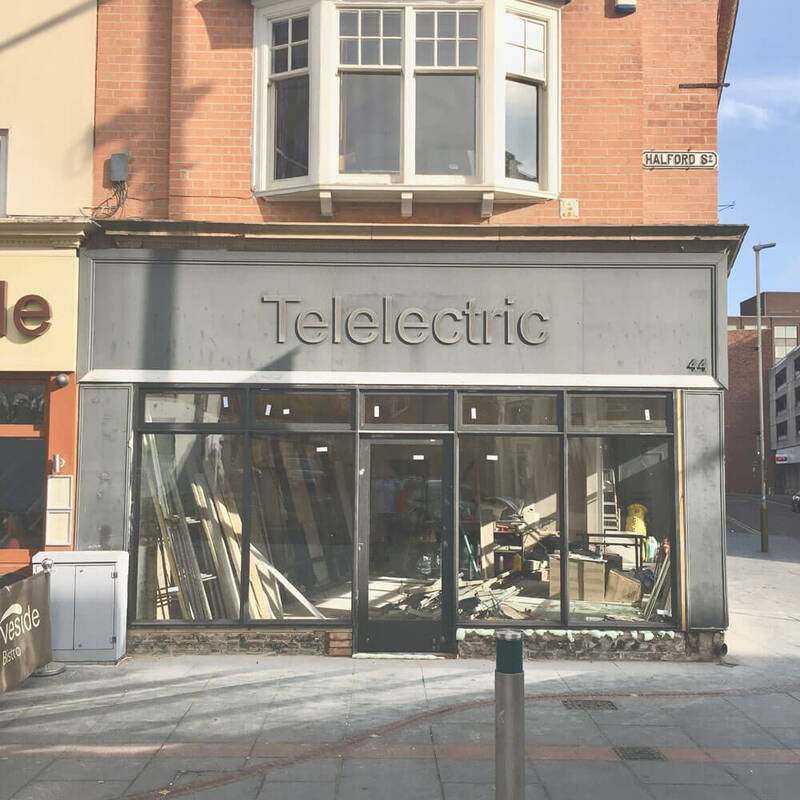 For 50 years Telelectric had occupied the double fronted old building on the corner of Halford Street and Yeoman Street. 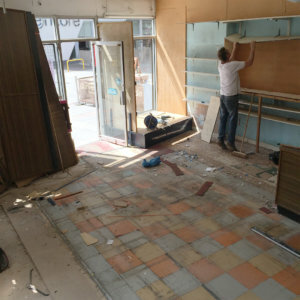 Its former owner, Paul, had lovingly ran the store for 35 years after taking over ownership from his father. Needless to say its closure on the 1st July was a bittersweet moment for SomeBrightSpark. 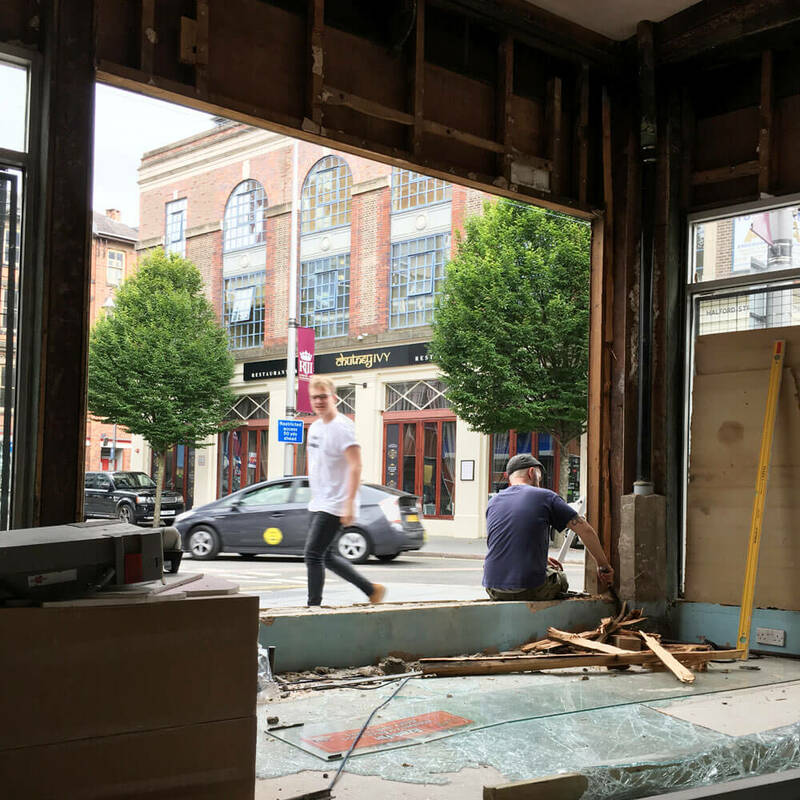 Although we finally had our new space, it meant saying goodbye to a great neighbour, a familiar face around the Cultural Quarter and a store that had been well-known and loved by generations. 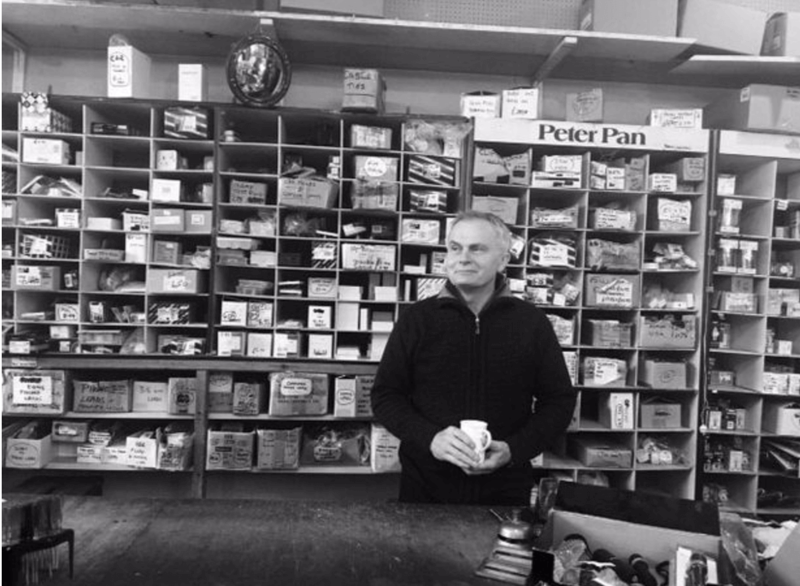 Paul Pinkard, former owner of Telelectric managed the shop for over 35 years, having taken over ownership from his father. 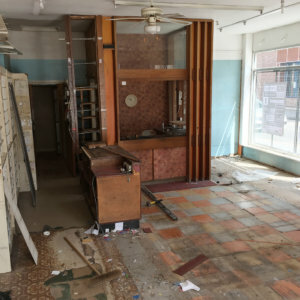 In the days leading up to the store’s closure, we paid tribute to its legacy, history and future. See the full story of Telelectric. 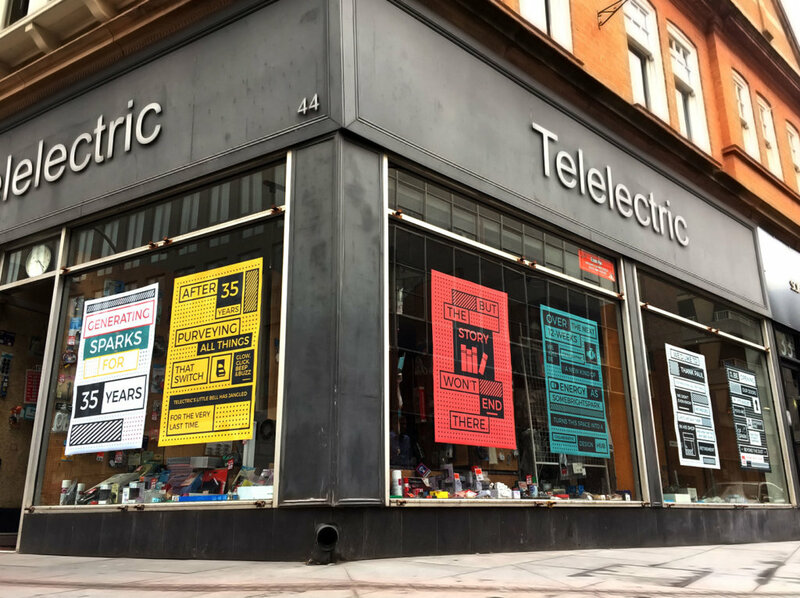 Telelectric closes after 35 years but some exciting plans await. On July 1st work commenced. The team moved in we got to work, pulling out all of the old – and rather retro – interior. 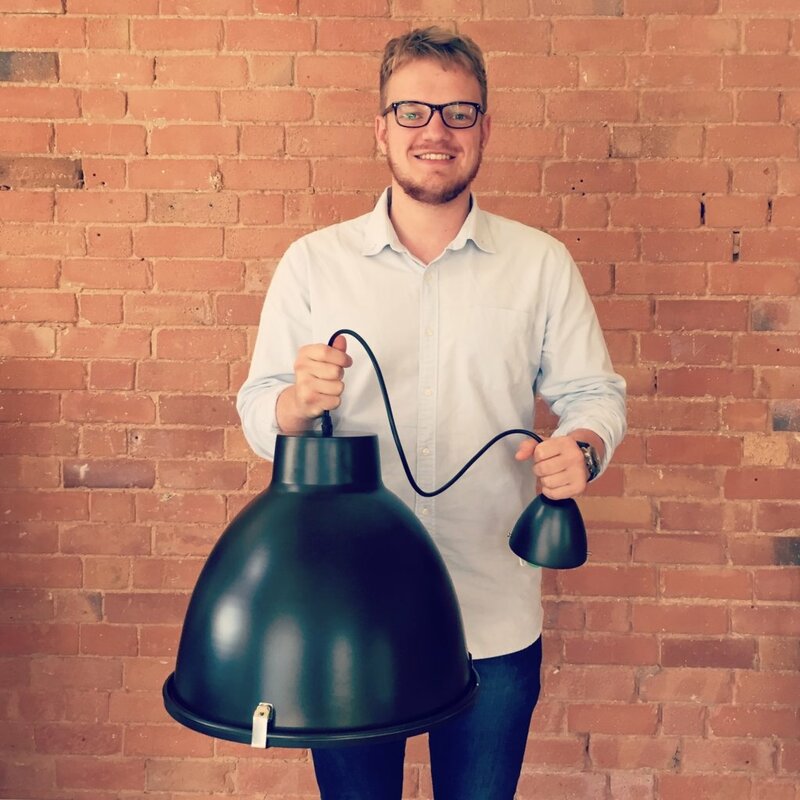 We salvaged everything we could with the aim of transforming materials into new pieces of furniture or ornaments. 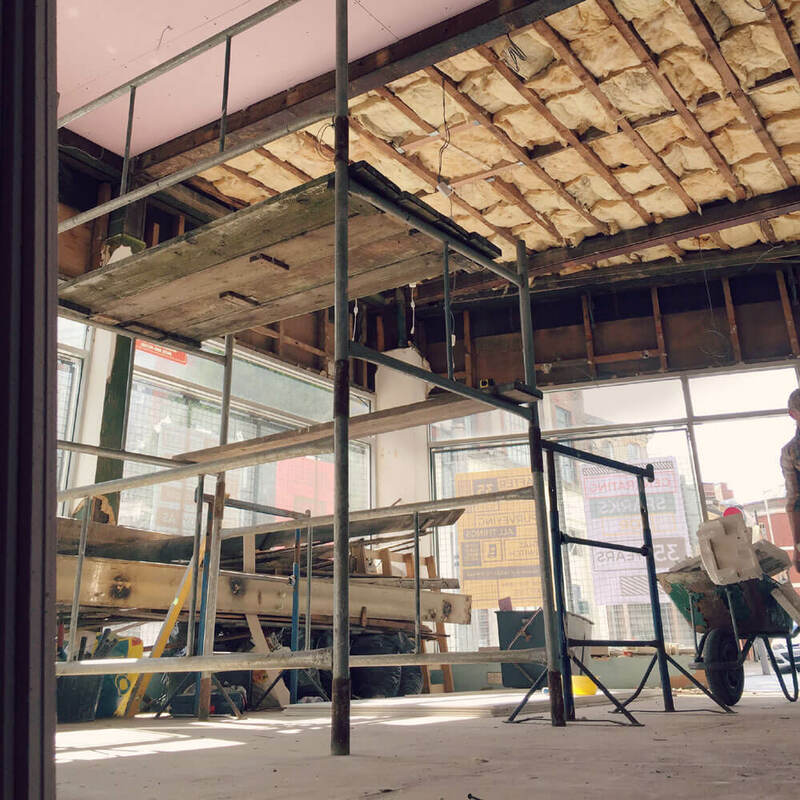 Gradually, the building’s history was revealed. In its earlier years the building was originally used as a grain store for the nearby market. 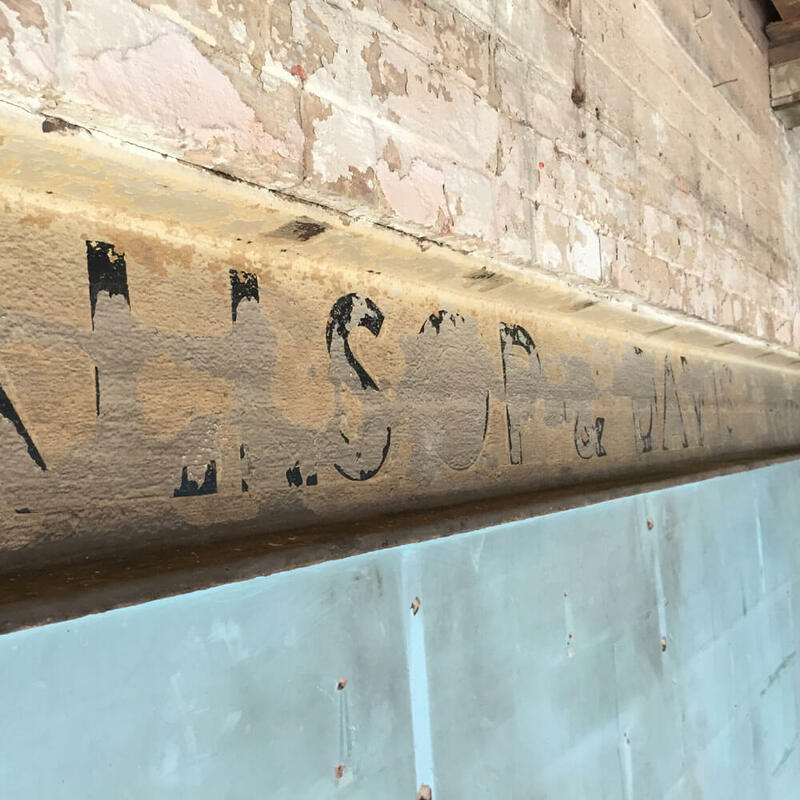 We uncovered the remnants of the original frontage, belonging to what was a green grocers, which has been estimated to date back to the early 1900s. We liked it so much we vowed to keep it. 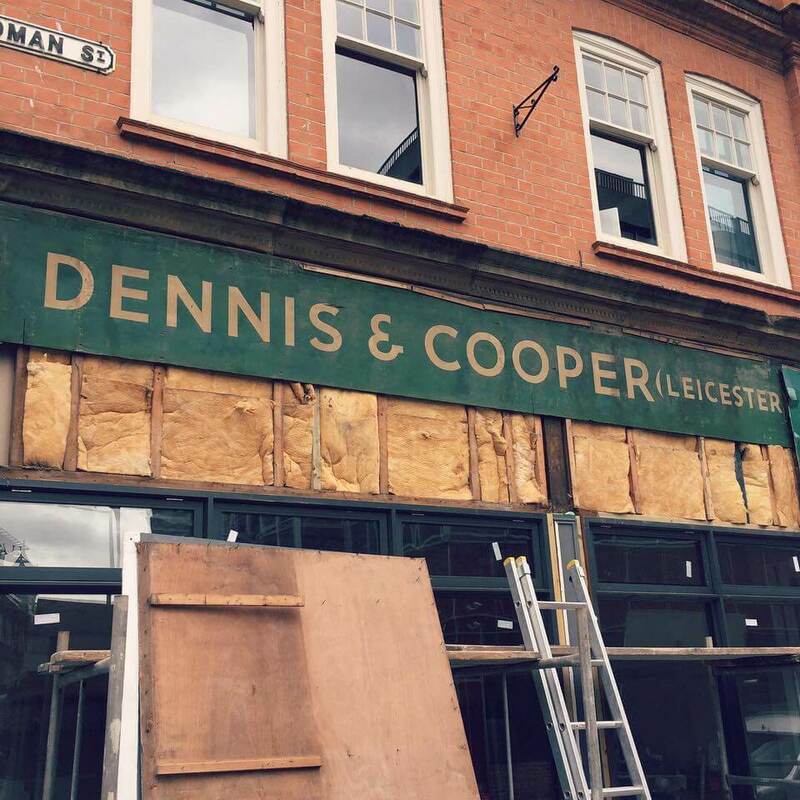 ‘Allsop & Davis’ – the name of the old green grocers which used to occupy the space. As the work continued plans were drawn, lots of ideas were processed and essential fittings were sourced. Next, it was time to say goodbye to the old windows and inject a bit of modernity. 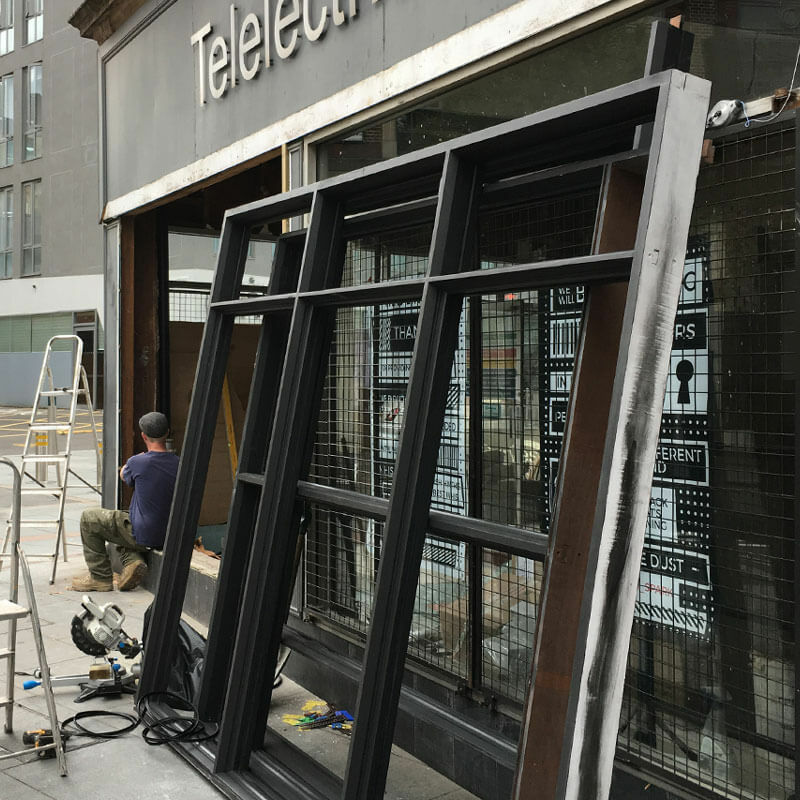 We didn’t want to change the appearance of the facade too much so we made sure that our new windows would retain that historic feel, by mirroring the style of the buildings surrounding the Cultural Quarter. More of our building’s history was revealed as we worked on the fascias. 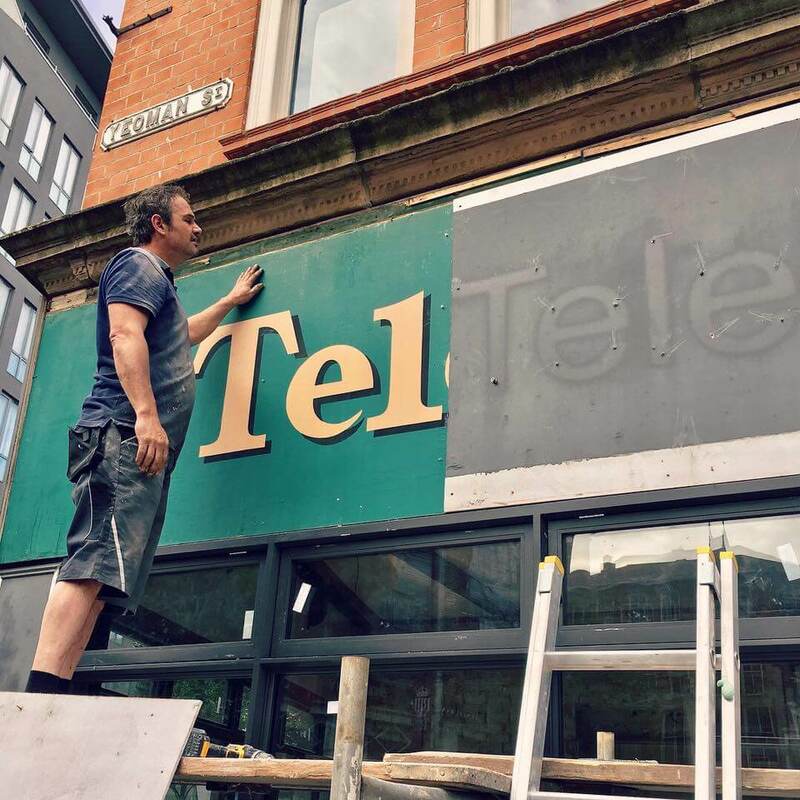 When the old signage was removed it was like peeling back layers of history. We love the old signage writing. 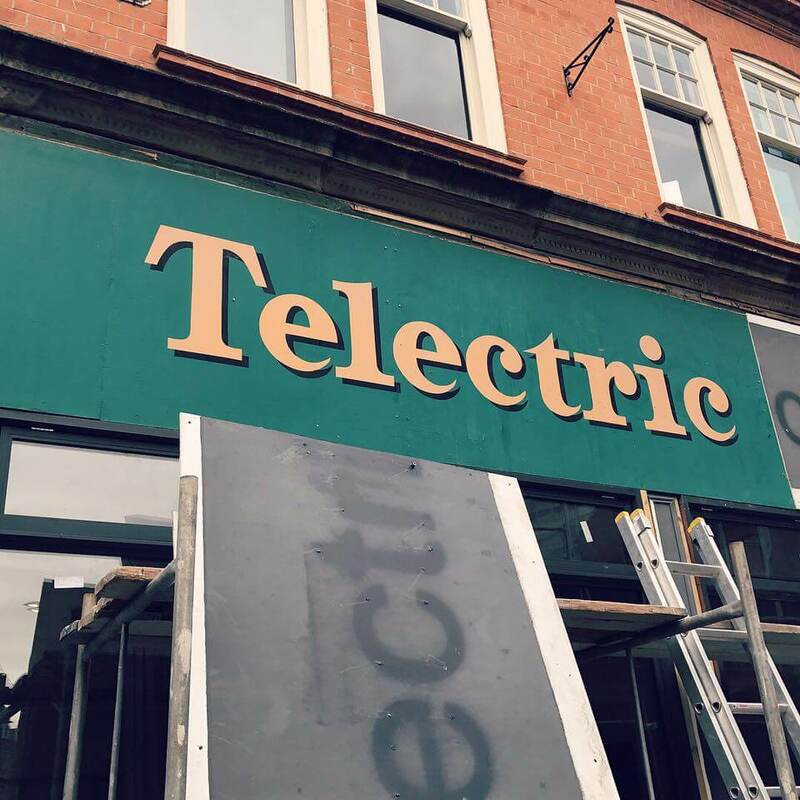 Looks like Telelectric was once known as ‘Telectric’ and before that, the store was called ‘Dennis and Cooper’ (Leicester). 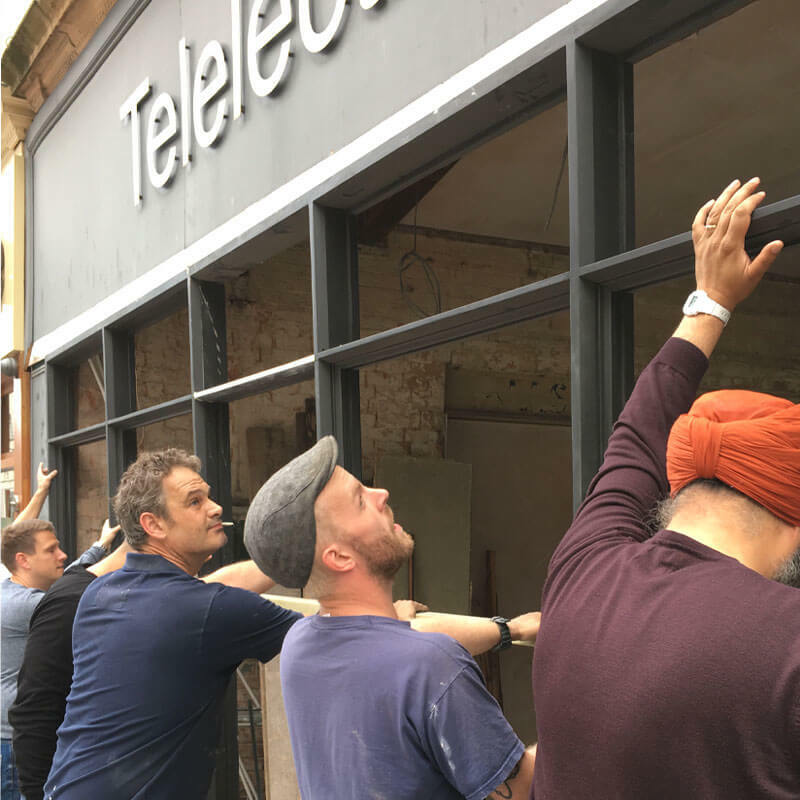 We’re pleased to say that after a few month’s of solid grafting (thanks to all of our contractors), work on our new coworking space is nearly complete. 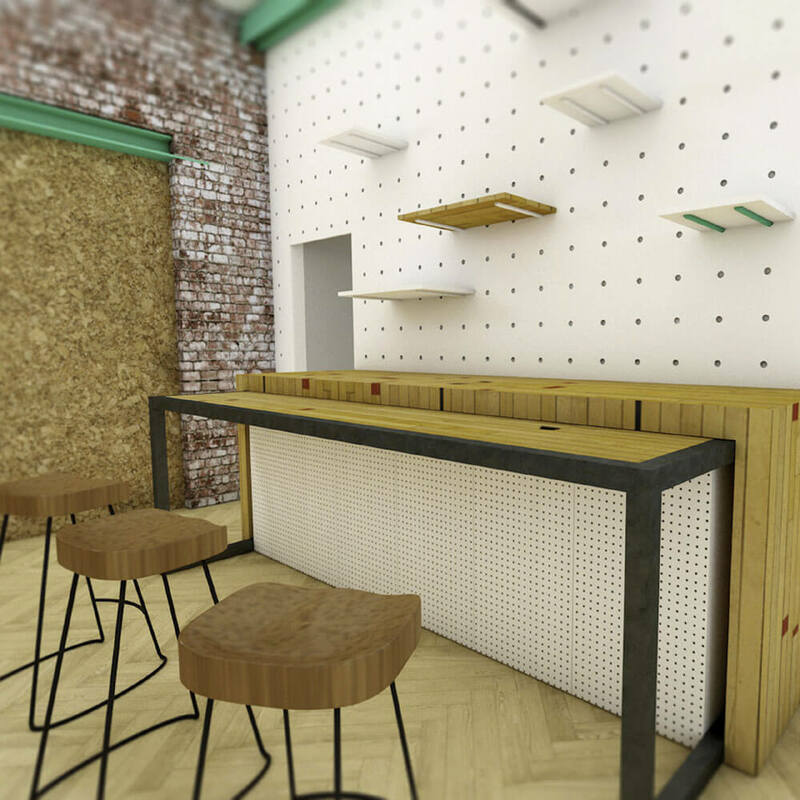 For those that can’t wait to see the full transformation, here’s a sneak preview of the proposed new interior. 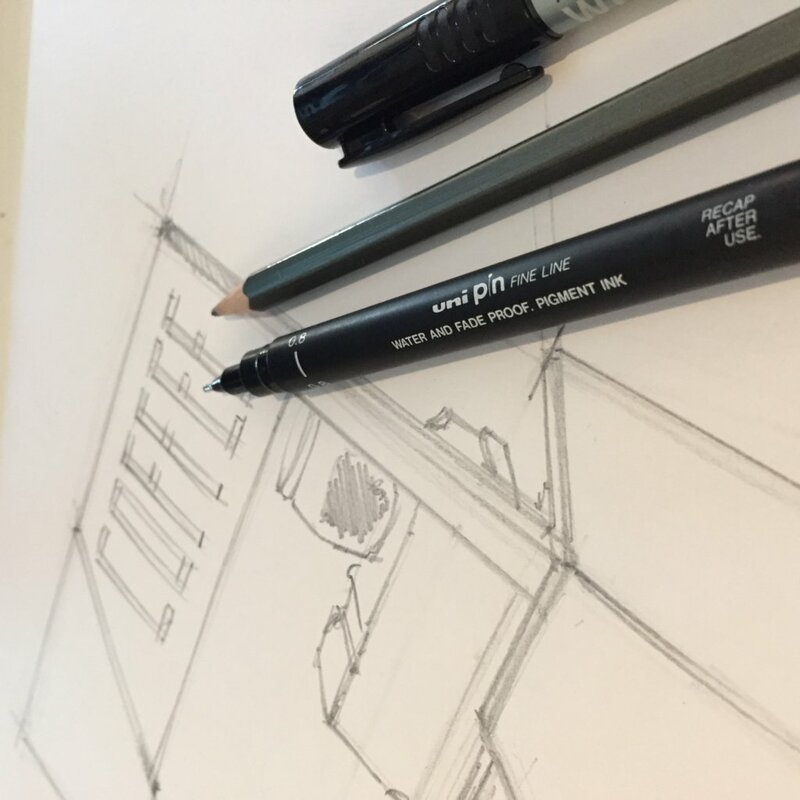 The proposed plans include a dedicated meeting area, hot-desking facilities for creative professionals, informal meeting spaces and, most importantly, an incredibly good coffee machine. 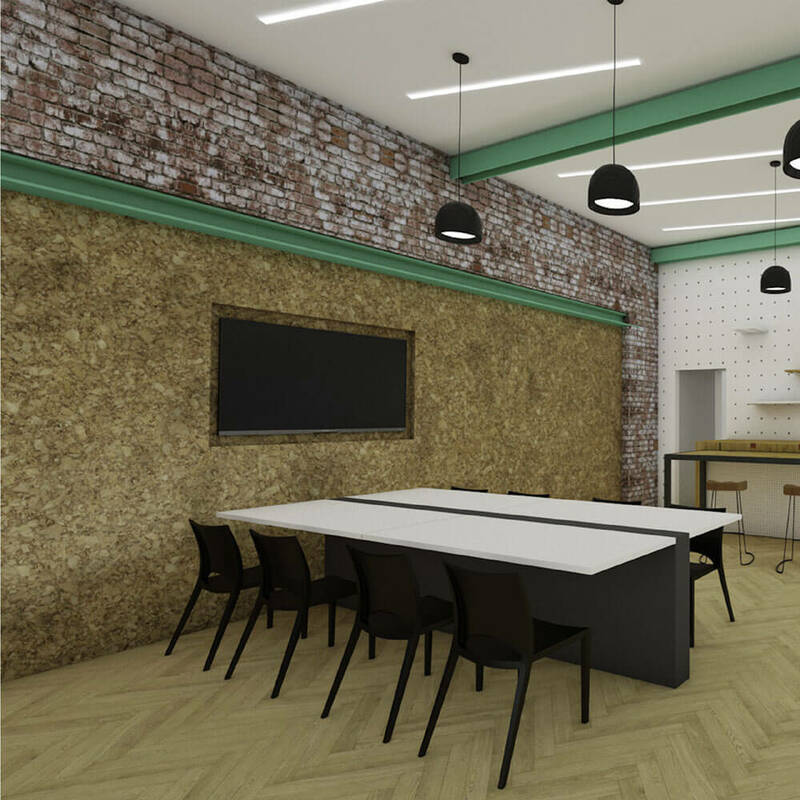 As well as being additional space for our busy teams from our Event and Design Studios, we’re offering meeting and work spaces for hire to local businesses and independent creatives in the area. 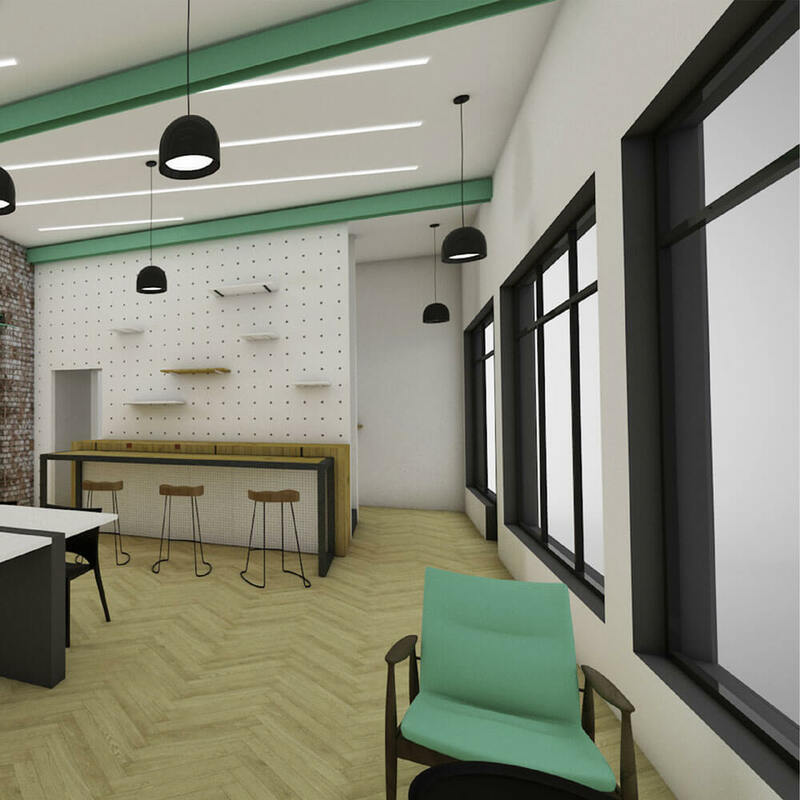 Additionally, the work space will include a large HD TV, super-fast Wifi, rest rooms, bookable catering, local discounted parking and is within skipping distance from Leicester’s station. We’ve been overwhelmed with the interest received from local businesses and we already have our first booking confirmed. 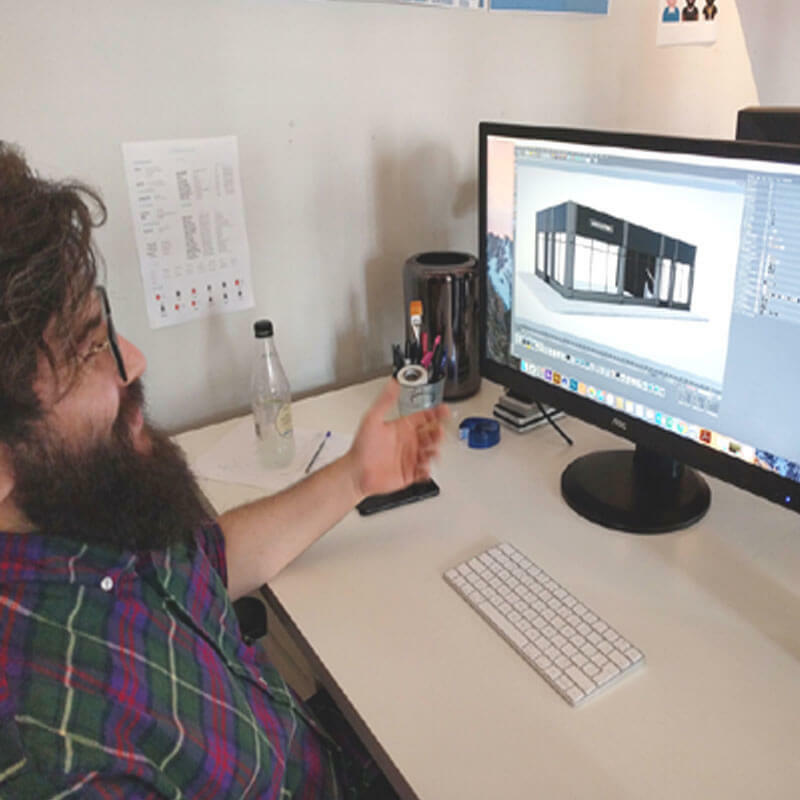 For the first few weeks our creative space will be used as an editing suite. If you’re interested in finding out more then contact us or sign up to follow our blog.